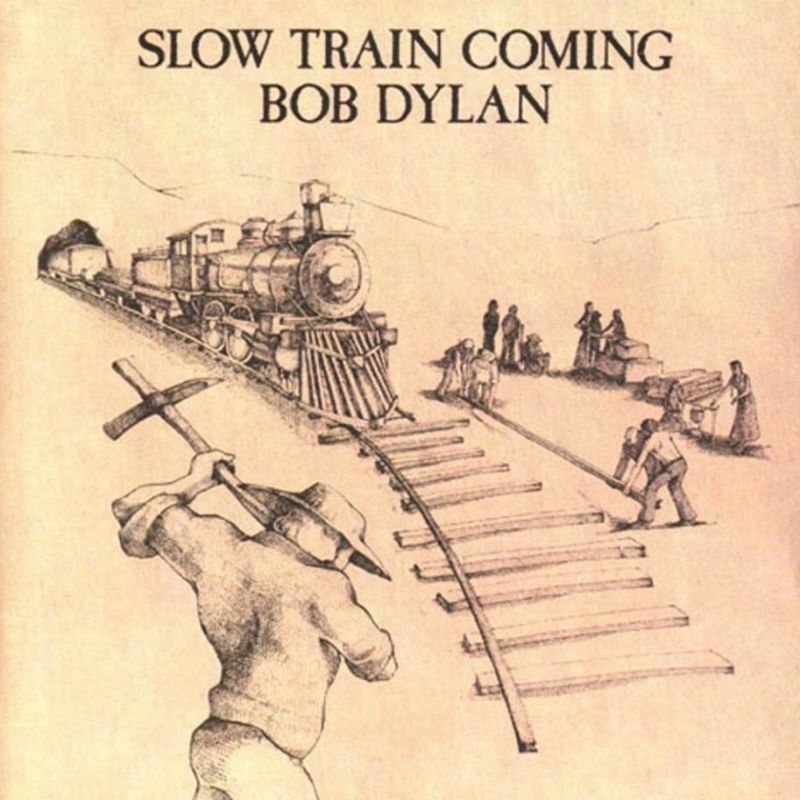 The reaction on the (U.S.) Slow Train tour was disheartening at times. But it doesn’t wound you because you get used to the ups and downs. You get to where the praise doesn’t mean anything because it’s often for the wrong reason, and it’s the same with the criticism. Besides, I don’t think I’ll be perceived properly till 100 years after I’m gone. I really believe that. I don’t think anybody has really caught on to Blonde On Blonde yet. …. 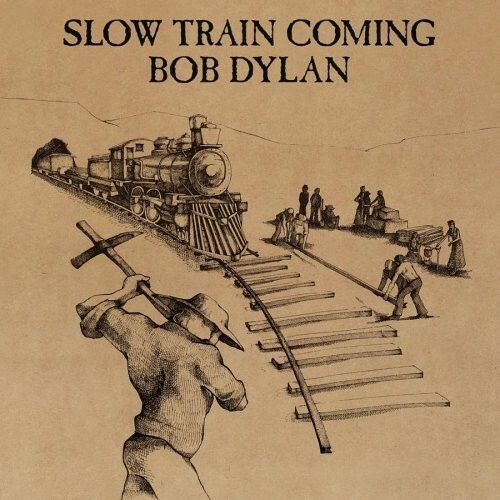 Musically, this is probably Dylan’s finest record, a rare coming together of inspiration, desire and talent that completely fuse strength, vision and art. 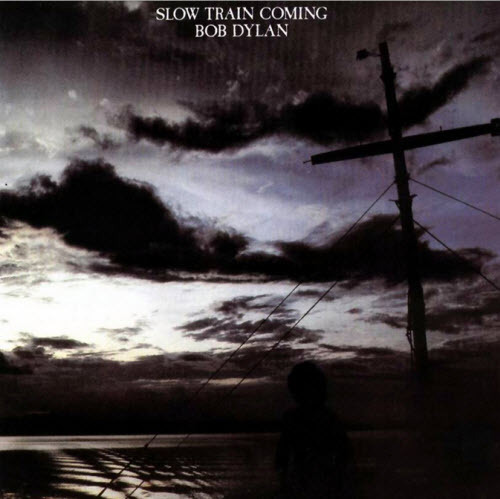 Bob Dylan is the greatest singer of our times. No one is better. No one, in objective fact, is even very close. His versatility and vocal skills are unmatched. His resonance and feeling are beyond those of any of his contemporaries. More than his ability with words, and more than his insight, his voice is God’s greatest gift to him. So when I listen to “When He Returns,” the words finally don’t matter at all. They are as good as they ever were, maybe even better. … I am hearing a voice. The last recording session brought us 4 masters: Gotta Serve Somebody, Do Right To Me Baby (Do Unto Others), When He Returns & Man Gave Names To All The Animals. 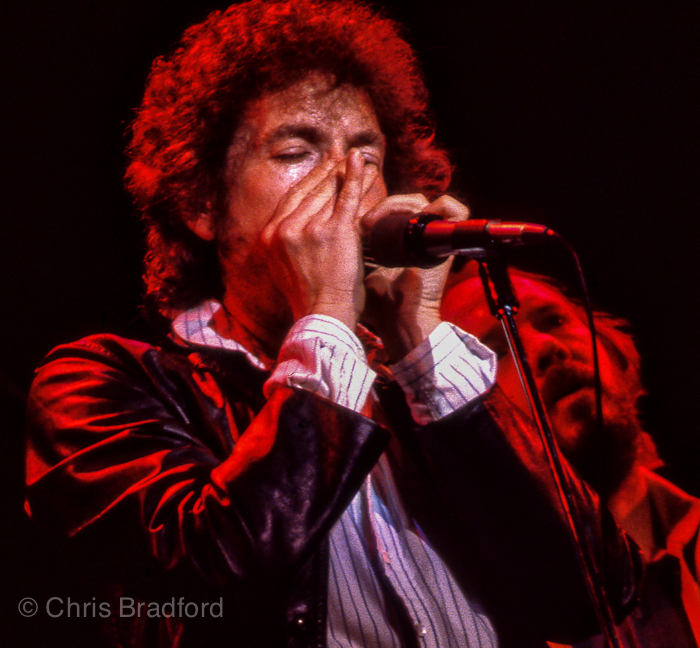 A while ago we here at Alldylan got an email from Chris Bradford where he told us that he had started digitizing his old slides, among them quite a few Dylan photos never before published. He asked if we would like to publish some of them on Alldylan. We were stunned, what an offer! We wrote back and said that we would be honoured. 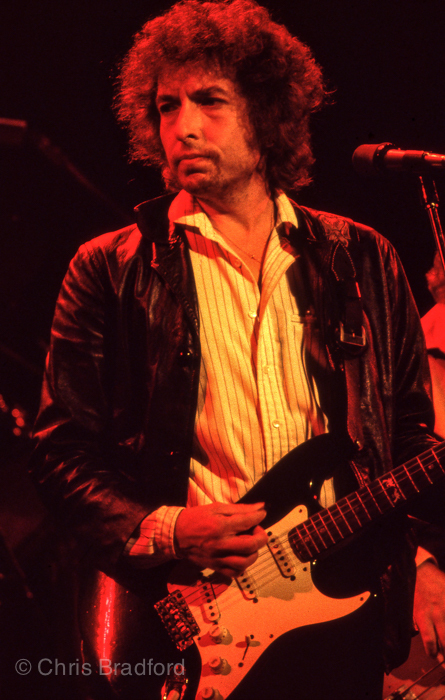 We have publish several posts with photos from Dylan’s tours in 1974, 1978,1979 and 1980, and after that we will maybe post other artists. Chris has pictures of great historic value and he can be contacted if anyone wants to buy Hi-Res shots for printing. He has a lot of shots from this Warfield show! We are not sure of the exact date. We decided that this would be a fine addition to our Gospel Years series, and the PhotoSpecial from 1980 will also be a part of the series. 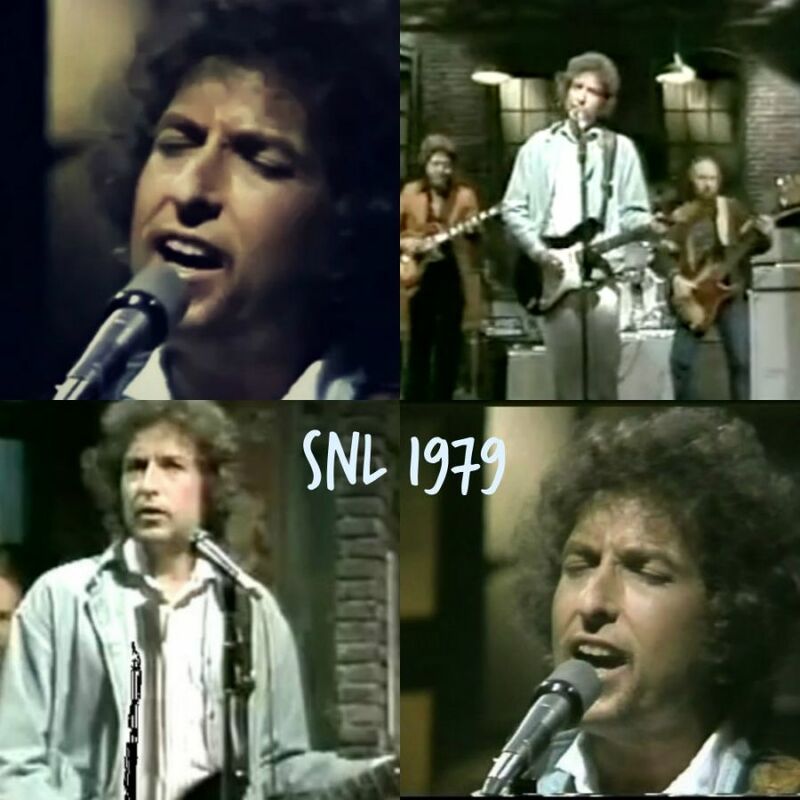 In the autumn, Dylan made what many found a surprising appearance on ‘Saturday Night Live” on NBC-TV on October 20, performing three of the songs from the album, backed by five musicians and three female gospel singers ( and looking, despite the fire- and -brimstone lyrics sung, strangely tame: almost domesticated). He sang three songs that night. The least memorable was the first, a reluctantly delivered “Gotta Serve Somebody,” complete with a botched lyric. The other two — a passionate acoustic “I Believe in You” and, finally, a proselytizingly blazing “When You Gonna Wake Up” highlighted by searing support from Terry Young (organ) and Fred Tackett (lead guitar) — remain transcendent to this day.